I purchased the blue velvet version. It’s a very attractive rich looking sofa. 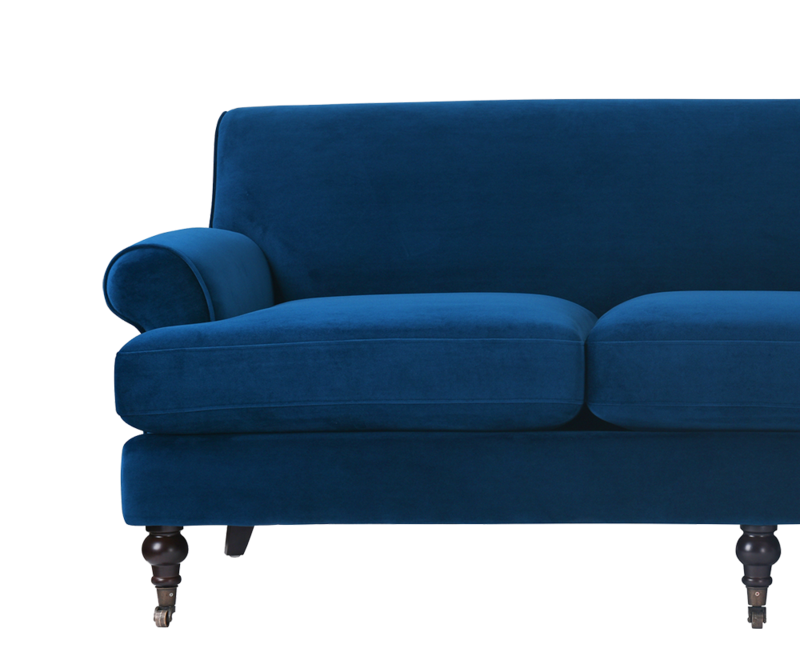 The dark blue gives it a rich sophisticated look and the turned legs add to it. The cushions are firm and you can tell it is a well made sofa. The packaging it shipped in was well done with no damage. A great value for a rich looking sofa. 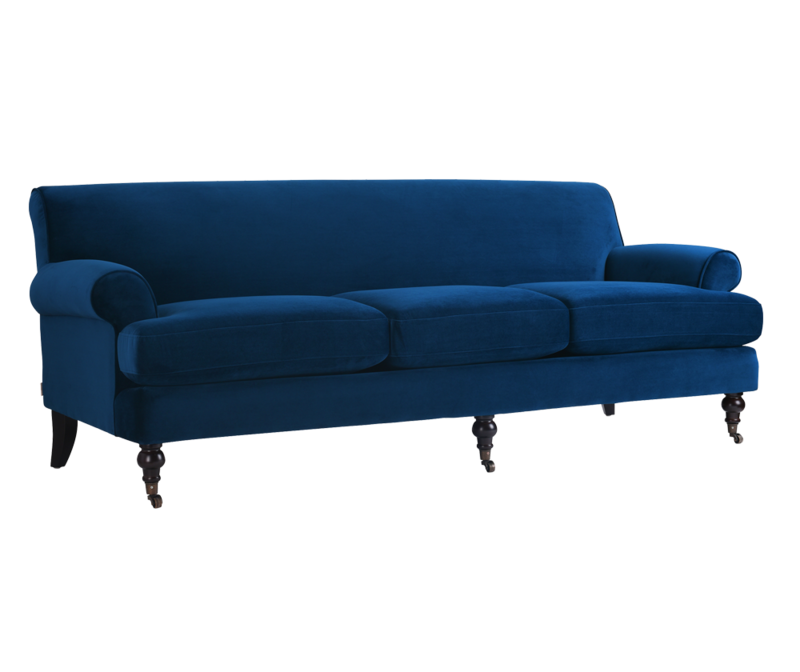 The color and fabric are perfect, the couch itself is super comfortable. The legs fit perfectly with my other vintage furniture. In addition, my cats love this couch, which has required daily fur brushing. The couch looks like new immediately afterward, and the upholstery seems to repel stains beautifully. I'm actually considering purchasing another one in a different color. I bought this in navy. It's beautiful, and incredibly comfortable! May buy another in another color. Extremely pleased with this sofa. Nice fabric. Color is on the brighter side of navy. Beautiful Color! Sofa sits quite firm but very comfortable. I love the seat height. The cushions are reversible even though the specifications state they do not reverse. I would definitely recommend!!!!!! Was packaged extremely Well! Very happy! Love the fabric and hue of the fabric. Very comfortable. Looks really expensive.